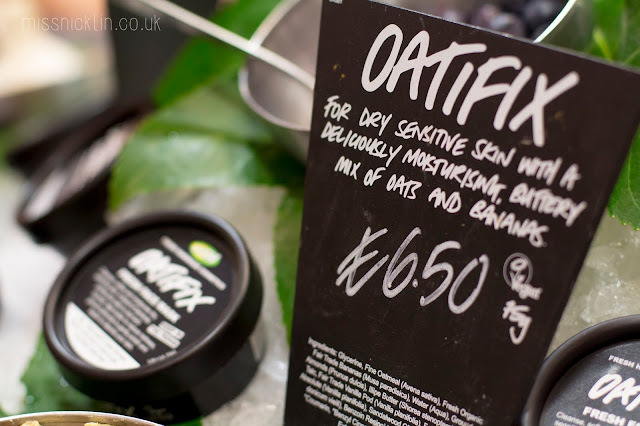 I was greeted and shown round the store by a lovely lady called Sian who gave me mountains of interesting information and facts about each product including it's ingredients, how to use it and what benefits it has. First we went upstairs to take a look at what new shampoo they had and to find out what Lush mean when they say 'get naked'. Their shampoo range covers all different hair types and includes a variety of scents to leave your hair smelling gorgeous. 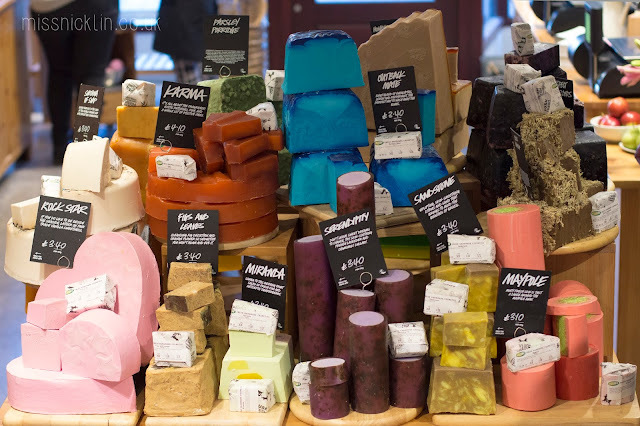 The term 'naked' is what their products without packaging are called, meaning that they are more eco-friendly and saving on plastic as things like the shampoo bars can be used just like you'd use a soap bar. Quite a genius idea when you think about it. 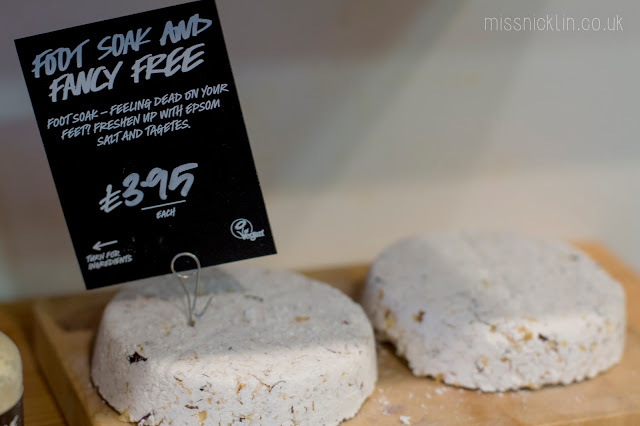 When I was younger, it used to be a tradition that I'd go to Lush with my friends and pick up a funky bath bomb on the weekend, but for the last few years I've been without a bath (don't worry, I've had a shower!) 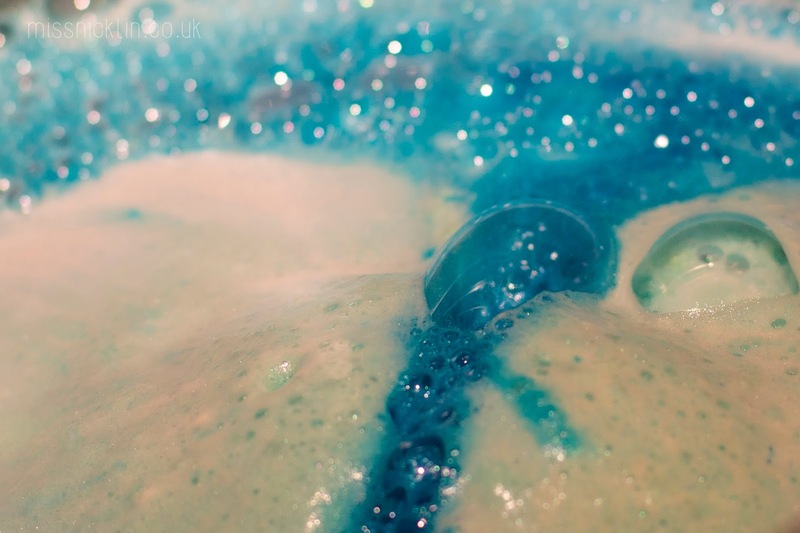 However, I've recently moved and I now have a bath, so you can imagine my excitement when Sian took me downstairs to the bath bomb section and told me about the new bombs; Intergalactic, The Experimenter, Yoga Bomb, and Frozen. 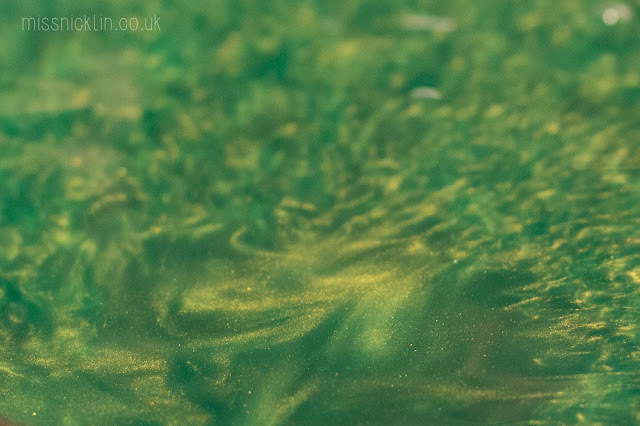 We dropped some bombs into the water and watched as it transformed from a dull bowl of water to a magical foamy show! My favourites were Yoga Bomb and the Frozen bomb because Yoga Bomb bubbles out for about 8-10 minutes meaning it lasts a lot longer than a usual bomb (about 2-4 minutes) and Frozen bomb is (as you may have guessed) inspired by the movie. This bomb turns your water into an icey blue colour while creating a swirl effect with light blue foam. 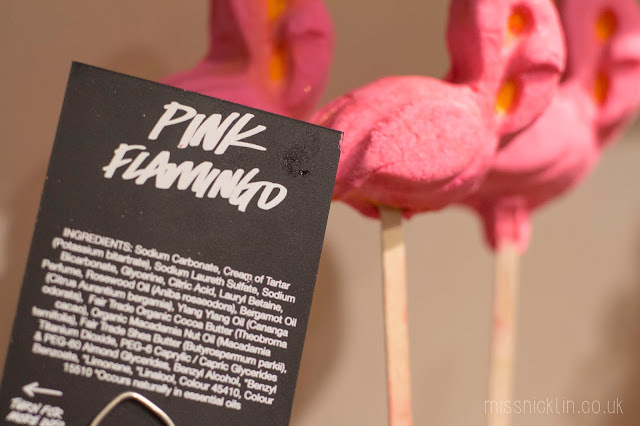 After that we had a quick look at the bubble baths and soaps, I personally loved the Pink Flamingo bubble bath and the Maypole soap - In fact I even bought some afterwards because the sweet peppermint scent was so addictive! 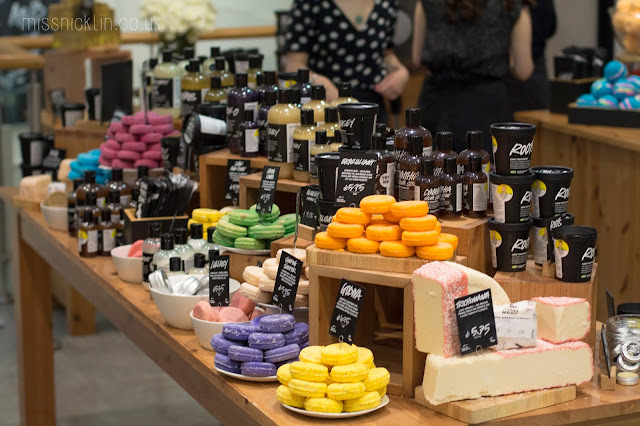 Finally we sat down at the beautiful crushed ice display with all their fresh face masks and tried out some cleansers, massage balms and exfoliating washes. I was instantly amazed by Ultrabland; a cleansers made with almond oil, rose water, beeswax and honey that removes all traces of makeup and dirt without being too harsh to your skin. I for one hate waking up only to find left over makeup on my face from the day before, so I'm hoping this could be the answer to my prayers!